Book now before they're gone! Central Ohio Children Photographer, KLFROST is excited to offer TWO magical opportunities for your daughter. 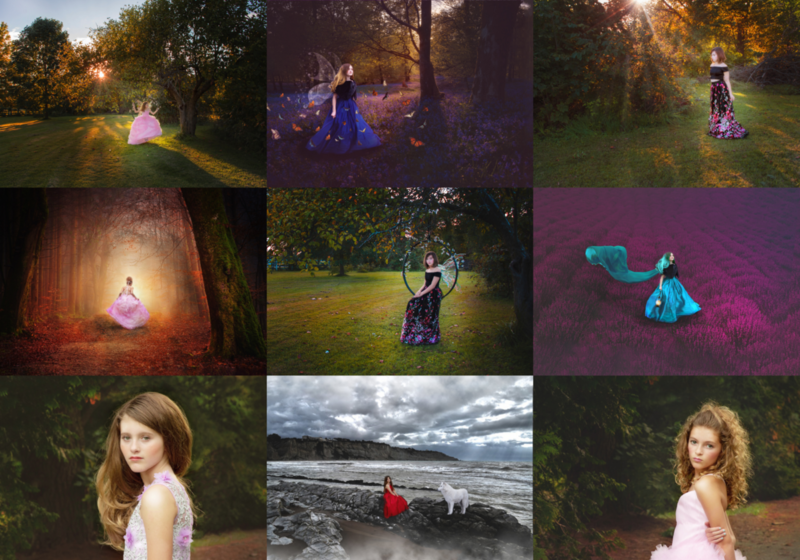 Two different sessions -- Fairy & Princess, both dedicated to capture her imagination now. Kristin is a full service photographer that provides gorgeous dresses and accessories for her clients. Once you arrive to your session you and your child will be able to choose your dress, then any light hair or makeup touch ups will be completed. Two Sessions designed for your sweet girl. THREE full size digital files edited to magical perfection. Are you providing dresses & wings? Kristin has a variety of dresses that your Princess can choose from (sizes 2y-16y). During your Fairy Princess Session depending on the size and energy of your child, Kristin will hand edit a pair of fairy wings post production, or use an enchanted pair on hand. You will be given a reschedule date. How many children is this for? Please let me know and we will book consecutive sessions. Will there be hair and make up? No, please come with clean hair & nails and we will instruct on light make up. If you cannot do it, we can. What time is my session slot? I look forward to meeting you and your princess. Please choose your date by choosing an option below.